Let’s face it — an update to Braun’s iconic Series 7 is long overdue. The highly popular model was launched back in 2010 and it’s now starting to show its age. A first attempt took place in 2016 when Braun rolled out a few revamped Series 7 models. But as I showed in this post, the updates were minor and didn’t improve the actual shaving performance. 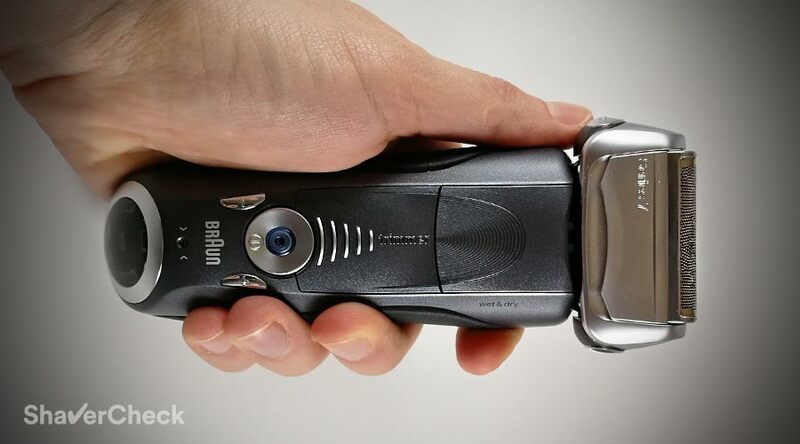 The Series 7 is definitely a very capable electric shaver and its success is the ultimate proof of that. However, there are also quite a few aspects that could be vastly improved. A new Series 7 would be a very big deal in the electric shaving community. And by new I mean a completely new, redesigned product, not just a fresh coat of paint and a few extra gimmicks. For example, Panasonic did just that with the new generation Arc 3 and Arc 5 families of shavers. Braun will have to up their game if they want to stay on top, especially after the initial Series 9 blunder. 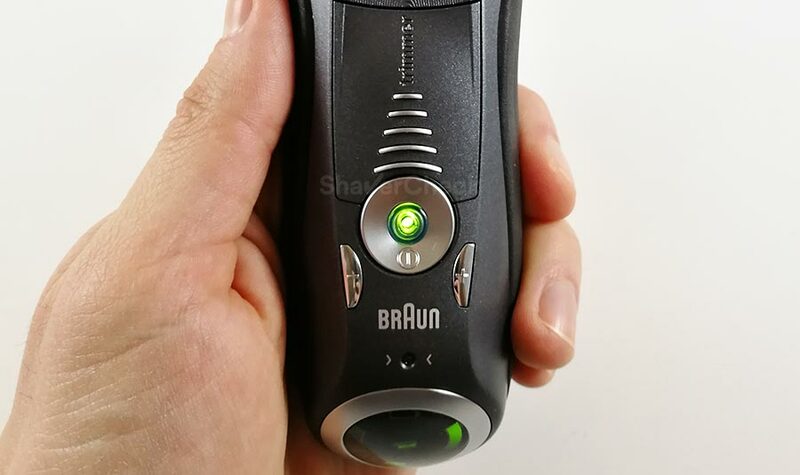 Given its popularity among electric shaving enthusiasts, a new Series 7 clearly has the potential to become a huge commercial success if Braun does things right. With that said, in this post I will share my thoughts on what a new Series 7 should be like. Naturally, most of these ideas will be based on the things that need to be improved with the current Series 7. In my opinion the Series 7 excels in two key areas: comfort and shaving longer facial hair. It’s extremely gentle and forgiving, being an excellent option for men with sensitive skin. 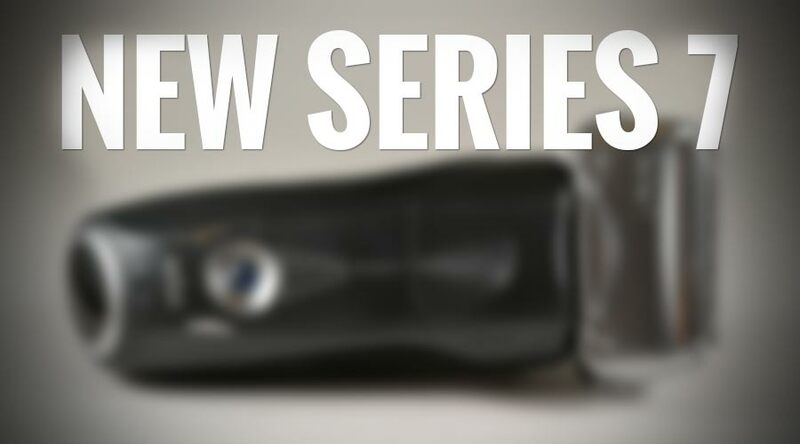 The shaving unit of the Series 7 is comprised of two foils and one middle trimmer that captures longer hairs. This middle trimmer, called ActiveLift Trimmer, works extremely well, definitely better than anything found on most other foil-based shavers. However, these advantages come at the expense of closeness. Don’t get me wrong, most men would find the closeness adequate, but it’s not the best. A Panasonic Arc 4 or even an Arc 3 will provide a closer shave in most cases and those shavers cost (significantly) less. This is a tricky one, I’ll admit. It’s extremely difficult to be able to offer both comfort and very close shaves, but if they manage to do it better than the others manufacturers, we’ll have a winner. As a side note, the current so-called new Series 7 razors (7865cc, 7893s etc.) use the same 70s and 70b shaving heads as the older models, so it’s no surprise that the shaving performance remained the same. Obviously, in the case of a totally new Series 7, the shaving head would have to use a new design as well. This is one of the more notorious problems of the Series 7. Braun acknowledged the issue but didn’t really do anything about it. 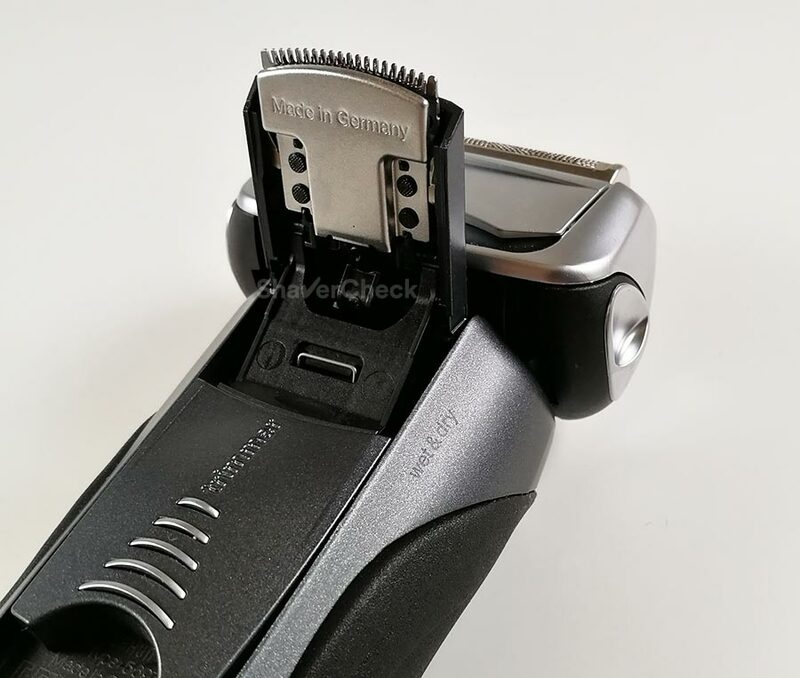 Precisely, if you lock the shaving head of a Series 7 (using the slider located in the side of the head) and you apply a bit of force to move it, the locking mechanism would simply snap. This can be a big problem for a new user that doesn’t know about it or for someone that simply forgets that the head is locked. There are numerous reports from users about this and the warranty won’t cover it, even though it’s clearly a case of poor design. The solution? Something similar to what Braun did with the Series 5 and Series 9. The locking mechanism on those is simple and works great: the shaving head would simply move into a different position when pressure is applied. The cc variations of the Series 7 that come with an automatic cleaning station have a special coat of paint that should withstand constant exposure to the alcohol-based cleaning fluid. In reality, things don’t seem to work quite like that. After a couple of years, the paint right below the shaving head would start to come off, leaving behind an unsightly view. Yes, the damage is only visual, but still unacceptable in my opinion. This may not be a big deal, but it’s something that has always bugged me about the Series 7: it doesn’t have a proper travel lock. One could argue that the ON/OFF button is very small and hard to press and it’s unlikely to be accidentally operated, but that’s still not enough. Even the cheaper Series 5 has one and Panasonic’s latest revision C Arc 5 can even detect when you’re not holding the shaver in your hand and would automatically lock the power button. Come on, Braun, just give us a proper travel lock. It’s not too much to ask for. The Series 7 comes with 3 or 5 speed settings depending on the model. They range from Sensitive to Turbo mode. In theory, it all sounds very good; one would use the Sensitive mode when shaving the neck for example and a higher speed setting for areas with thick, dense stubble. In reality, the lower speed settings just make the Series 7 feel sluggish without any improvements in comfort. 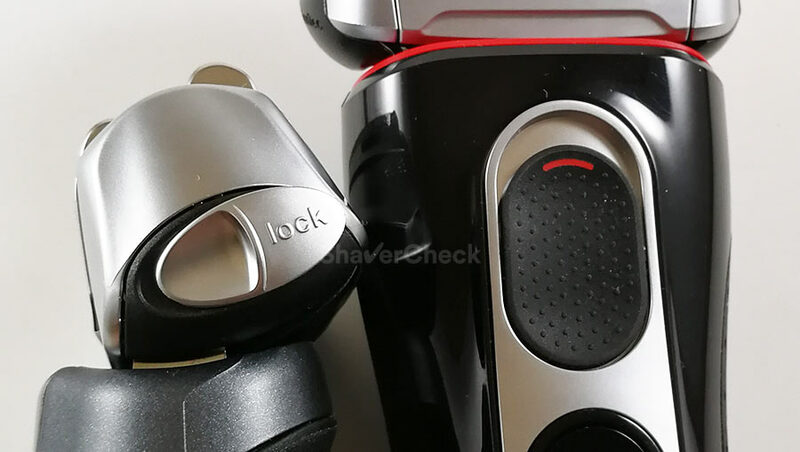 And since the shaver remains very gentle throughout the entire range of settings, you probably should always shave with the highest power setting activated. Braun ditched this feature with the Series 9, so even they know that it’s useless. So please do the same for the next generation Series 7. And just give us a travel lock instead, that one would be genuinely useful. The original Series 7 cleaning stations had a unique feature: they used induction heating to dry the shaver. The benefits of this technology were pretty obvious: the drying phase was extremely short and completely silent. In what was likely a cost-saving move, Braun ditched this feature for all the Series 7 stations that are currently being manufactured. With no active drying system fitted to the stations, it takes around 4 hours for the cleaning fluid to evaporate from the shaving head. The Series 7 basically joins the likes of the lower-end Series 5 and 3 that also lack any drying capabilities. And while you’re at it, please let us use the cleaning and drying modes separately. For example, if I only need to dry my Braun shaver, tough luck: I cannot do it without putting the shaver through a cleaning cycle as well. Panasonic allows this with their cleaning stations, so Braun should take notice. Braun currently uses these so-called cassettes for all their shavers, meaning that the blades and foils are merged into a single piece. The 70s/70b cassettes of the Series 7 are no exception and as a result, you cannot separate the inner blades from the foils block. The downside of this approach is that you have limited access to remove hair strands, gunk, dirt and other nasty things that may be stuck inside the shaving head. This is not an issue if you have a cleaning station, but in the case of the s (solo) models, it can be a real pain to clean the cassette manually. A possible workaround would be the use of a new shaving head that can be taken apart — something that Panasonic has been doing for years and made cleaning so much easier. Moreover, you would also have the option to purchase the parts separately and save some money if for example you only needed to replace a damaged foil block. An electric shaver suitable for dry only use is usually cheaper and can be used while charging. And for some of us, these things are important, so please give us the possibility to choose. 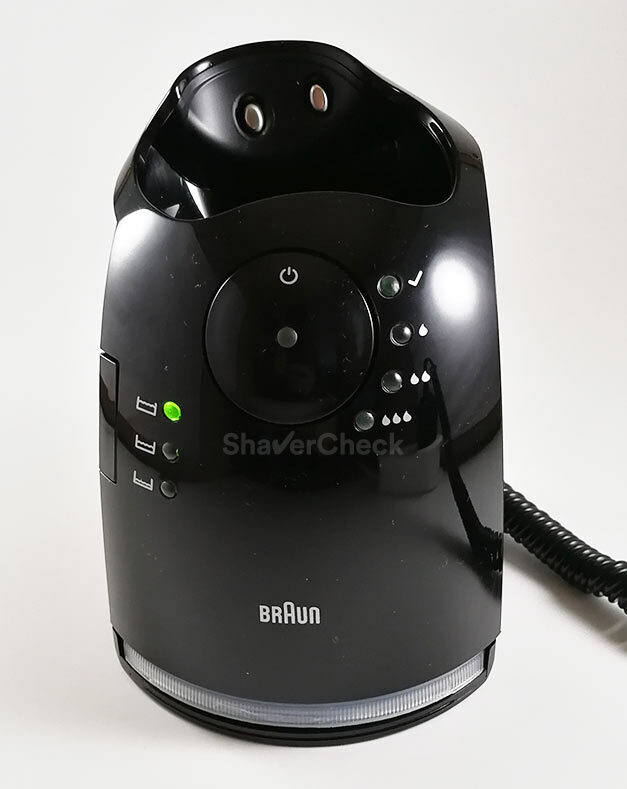 Most men prefer to shave dry anyway for the convenience of it and Braun shavers don’t perform significantly better when used with shaving cream or gel. The newer Series 7 (7865cc, 7893s etc.) are all suitable for wet/dry use. I know that this is currently a trend — all the new Series 9 are wet/dry certified and so is every Panasonic shaver out there — but not following this direction may actually be beneficial to the end user. The trimmer on the Series 7 has good placement and is adequately wide. However, it’s mediocre at best, even for light grooming and touchups. It has a curved profile, which is definitely not a good idea for a hair trimmer. There’s a reason why there aren’t any hair trimmers with a curved profile of the cutters — so just use a straight one instead. Secondly, it just doesn’t cut hairs as well as you would expect it to. You have to hold the trimmer at a very sharp angle relative to your skin and you’ll need multiple strokes to get all the hairs. Again, the trimmers on Panasonic shavers work so much better. The new LCD display on current Series 7 shavers is probably the worst I’ve ever encountered. First of all, it’s extremely difficult to figure out on your own what it means. And that’s a problem. If you need to read the instruction manual very carefully just to figure out what the battery indicators mean, that’s a case of poor design. Period. My second gripe is that the display itself is pretty useless. It only shows you a full battery, half-full battery and low battery. Even a basic 5 bar indicator (each representing 20%) like the one on the Series 5 would have been so much better. With the next generation, just use something like that instead. And put it on the front of the shaver and leave the bottom for the charging port. It’s a simple and proven design that simply works. This way the charging cord won’t stick out awkwardly from the back of the shaver like it does now and it would also make it easier to shave with the razor plugged in — if, of course, we’ll have a dry only variation. There’s currently no official information regarding a new Series 7 generation and to be honest I doubt we’ll see anything in the near future. Braun is promoting the current Series 7 pretty aggressively and from what I can see the sales are still going strong. Moreover, a significantly improved (and cheaper) Series 7 would probably cannibalize Braun’s very own Series 9. I think this is the main reason why we won’t see most of the things in this list making their way into a potentially new Series 7 — people won’t have a reason to buy the range-topping Series 9 anymore. But that shouldn’t stop us from hoping — and I’d be perfectly happy even if only a few of these features will actually get implemented into a brand new shaver. I tried my best to stick to the things that would be beneficial to us, the end users, and would make our shaving experience better. What would you like to see in a new Series 7? Please comment below. You cover most of the issues I see with the Series 7, that cord on the back and the useless speed switch should be address. The cost of the shaving head was the only reason I did not buy the Series 9 shaver even though the cost for the series 7 is still expensive compare to other shavers as I went from a series 3 to a series 7 I thought the price for the series 3 was a pretty reasonable price to pay for a replacement shaving head. Great observations — at least the current Series 7 models come with a charging cord that doesn’t stick out from the shaver as much (the end is bent at a 90 degree angle). The shaving heads are cheaper than the ones for the Series 9, but still pricey. Great review on Braun shavers, I also enjoyed reading your review on Panasonic shaver range. I’m currently using Braun CoolTec which is essentially a Series 3 with a cooling bar embedded into the shaver head. It’s a great shaver and I enjoy the cool feeling during a dry shave. 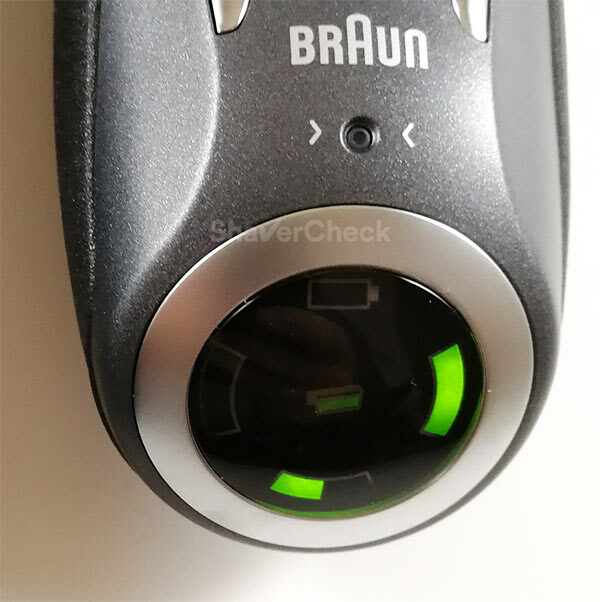 I’m about to purchase a new shaver and I’m very confused which one to go with, the latest Panasonic Arc 5 D models or Braun Series 9. I think the maintenance cost for a replacement head for a Braun Series 9 is slightly cheaper than the Panasonic Arc 5. I’ve thick beard and always get a shadow by 5pm. I shave every morning. Having said these, which one do you recommend? I can get both brands on good deal through Amazon Japan since I’m living here for the time being. Thank you for your comment. Provided that your skin isn’t particularly sensitive and prone to irritation, in this situation — thick beard and shaving daily — the Arc 5 would make more sense. 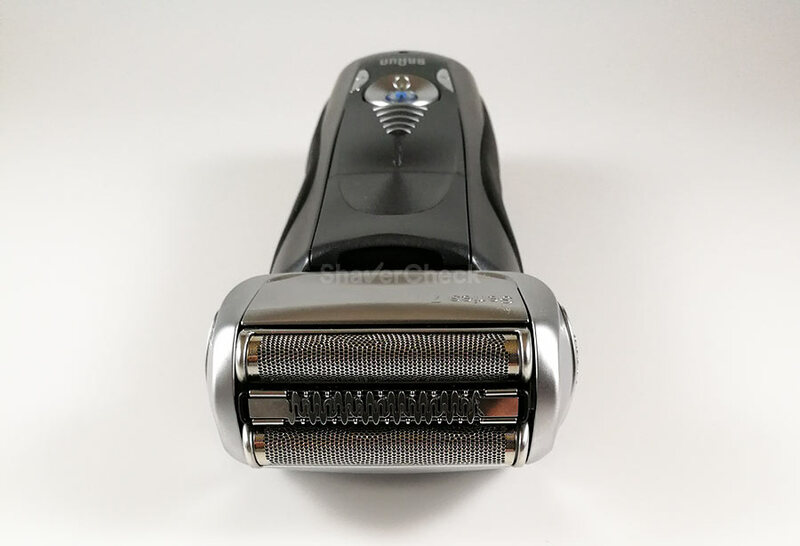 The Series 9 has some undeniable qualities — it’s great with longer, flat-lying hairs and it’s arguably the most comfortable electric razor out there right now — but it lags behind the Panasonic with regards to closeness. And since you’re already getting a shadow by 5PM, I think the Arc 5 would be more suitable. And it works great for daily use. The foils and blades for the D models are indeed very pricey right now, but they will most likely get cheaper. There’s also the option of the older parts (used on the second gen Arc 5, those are compatible as well), even though they aren’t as comfortable. Another option to save some money would be to opt for an Arc 5 with no cleaning station — they’re really easy to clean. I personally would skip the cleaning station. Thanks for your reply and suggestion. I actually get some flat-lying hair on neck which was the problem area for most shavers I’ve tried. I was wondering in this case, is Arc 5 still the best choice for me or should I consider the Braun Series 9 for the sake of flat-laying hairs? Apparently, Amazon Japan is offering Braun Series 9 on a great discount during this weekend. Interestingly, Arc 5 is on an attractive price on Amazon Japan as well. You are very welcome, Steven. If you shave daily flat-lying hairs are less of a problem. I would consider the Series 9 only if I had relatively large areas of flat hairs, in which case the Series 9 would make more sense (despite not shaving quite as close to the skin). Otherwise, I would stick to the Arc 5, it is arguably the best option for shaving daily a coarse beard. I finally purchased a Panasonic Arc 5 shaver, ESLV7D on Amazon Japan. It’s a Japanese domestic product with a reasonable price. It’s quite gentle and shaves deep through skin. I’m writing this after my first shave. I wonder what the hair growth would be by end of the day. Thanks for your suggestion regarding Braun and Panasonic shavers the other day. That’s great, I’m glad I could help. Enjoy shaving with your new Arc 5!